The last few times I have asked Beijing visitors or newbies about their impression of The Forbidden City, the answers were pretty standard: the first two halls are mesmerizing and then you enter a torturous cycle of repetitive enclosures and dragging your feet along the ancient stones, hoping the next hall is the last one and you can bury your sweaty, sunburnt face in some heavenly RMB 2 Beijing ice cream. 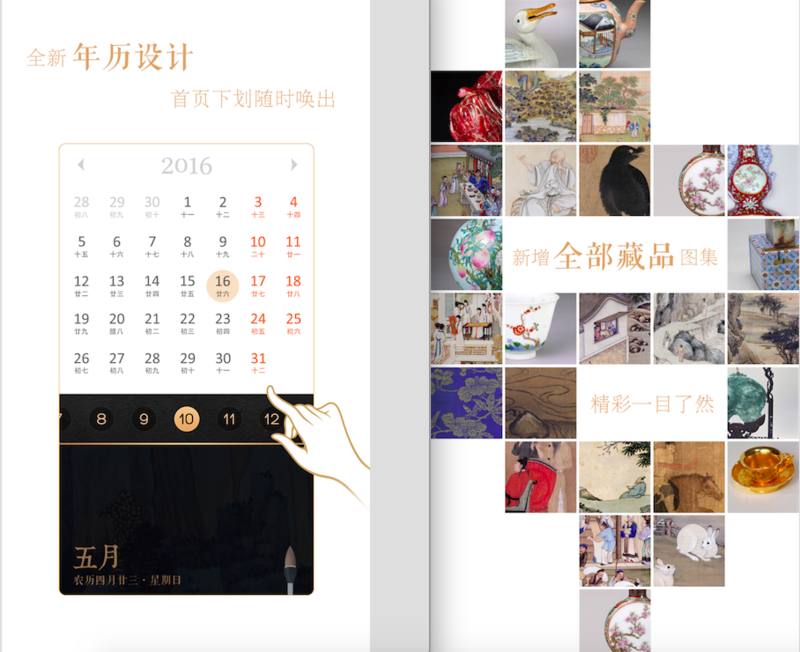 To get the most out of your cultural, historical, and educational museum experiences in Beijing is efficiency. And, like many of the first-world problems we didn’t know needed solving – there’s an app for that. So open up that folder with your AQI and Beijing Subway apps and let in some fresh air. 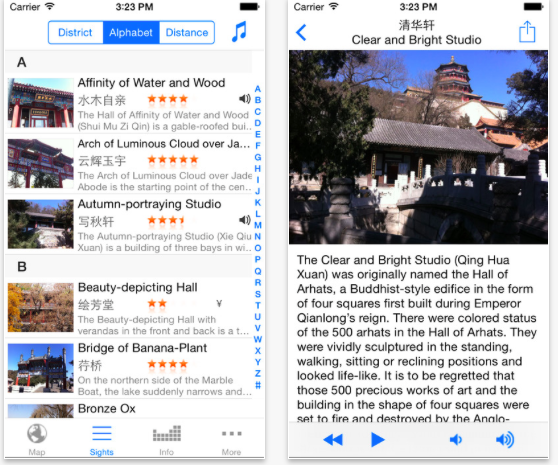 Whether you feel like soaking in the smells of the lush green gardens of the Old Summer Palace, or sweating on the moon bridges of the new one – there is almost always an app for that. The selection of apps in Chinese is much wider and the interface is much more up to current standards, but some of the apps are offered in English as well. However, don’t shy away from the Mandarin ones: the navigation is quite intuitive and interactive maps can help you out even without fully understanding it. The Palace Museum of the Forbidden City was the first museum in Beijing to put their whole collection online. 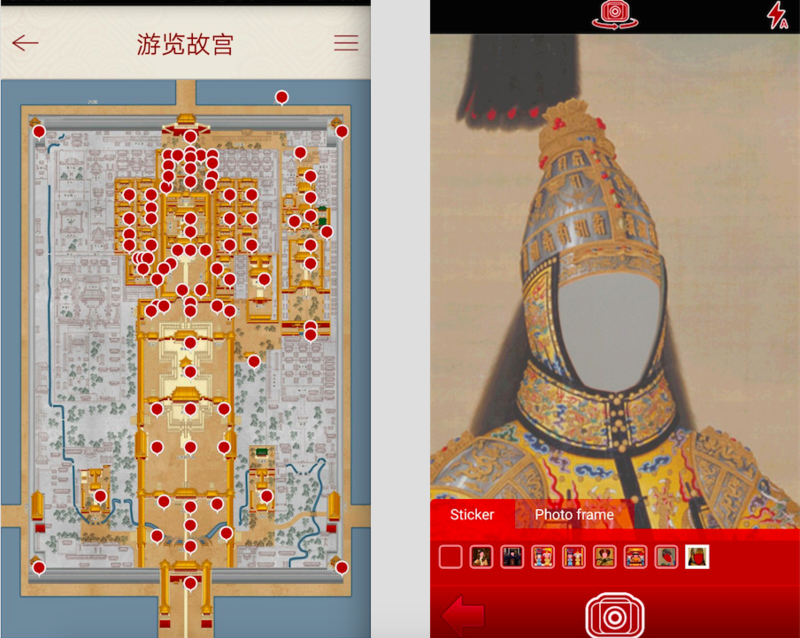 Having worked on their apps for three years already, the Palace Museum currently has nine running apps to guide you through the Forbidden City. Media have reportedly praised the apps for their high quality. Talk about putting quantity and quality together in one boat! All nine apps are available for iOS while only three are suitable for both iOS and Android systems. 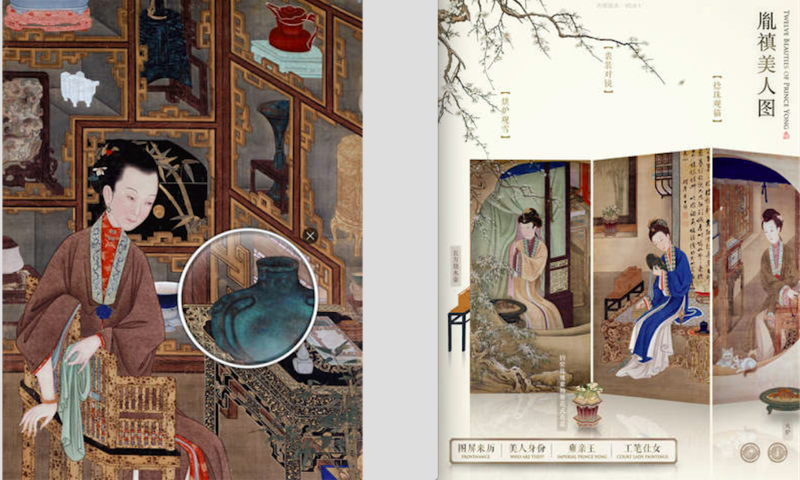 Some of them are dedicated to exploring specific collections within the Palace Museum, while others can guide by area. One dedicates each day of the year to a different object in the palace (if that tells you anything about the grand scope of the collections). Let the kids run wild trying to find the objects depicted on the screen in real life. Three of the apps available for iPad are offered in English. While the apps in English are far behind in the user experience and visual world, there is still some use to be squeezed out of them. When you’ve been to the Forbidden city three times this month because suddenly all of your friends got summer holidays, just hand them the Your Forbidden City (iOS and Android) app. It might not be the most personal, but your absence will make one less sweaty bum polishing the benches of the imperial palace. The app offers general information about the museum, the details of 42 attractions and some mom-fun (yes, it’s the photo frames that I have in mind). There are a few things to note about the Old Summer Palace: it is probably the greenest area in Beijing, ponds are big and plentiful, the area is insanely large and it is basically a city inside a city (which is what it was, with the original inhabitants never stepping out into the real world). Navigating the park can be confusing at times and its size does not make it any easier. 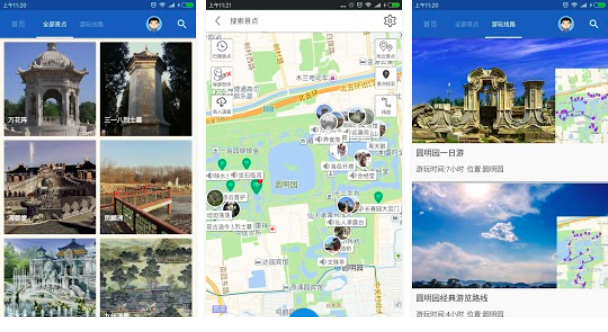 Both of the apps are in Chinese, but they provide maps, GPS tracking and picture previews of some attractions which can be helpful even to the illiterate. Otherwise, if you are determined to see and experience it all, grab a tent for an overnight stay. The Old Summer Palace is no joke. 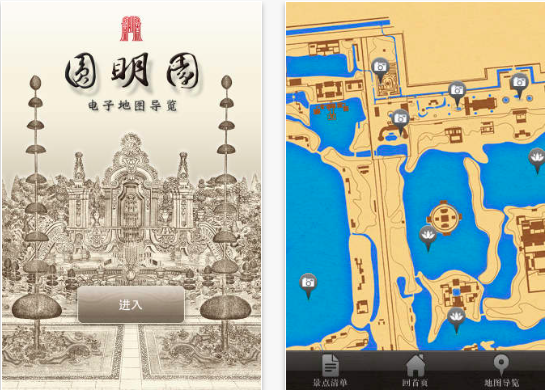 One of the more comprehensive and user-friendly (in every way) apps is about the Summer Palace. You can browse the sights according to distance or alphabetical order and read about them before you decide where to head out first. It might be smart to take a seat on the bench and plan your route beforehand to get the most out of it. However, the Summer Palace is smaller than the Old Summer Palace and you could possibly visit all the sights in one day while replenishing on some roadside baozi. If you end up not seeing it all, just dangle your feet from one of the benches by the pond and read about it on the app. With China putting all that has ever existed onto mobile platforms (I don’t recall the last time I had to actually go to the store for a beer, and not order it on Meituan), more apps could be expected to turn up soon. Meanwhile, enjoy the blue skies and clouds reflected in the ponds of one of the Palaces. This post first appeared on our sister site, The Beijinger. More by the author here.